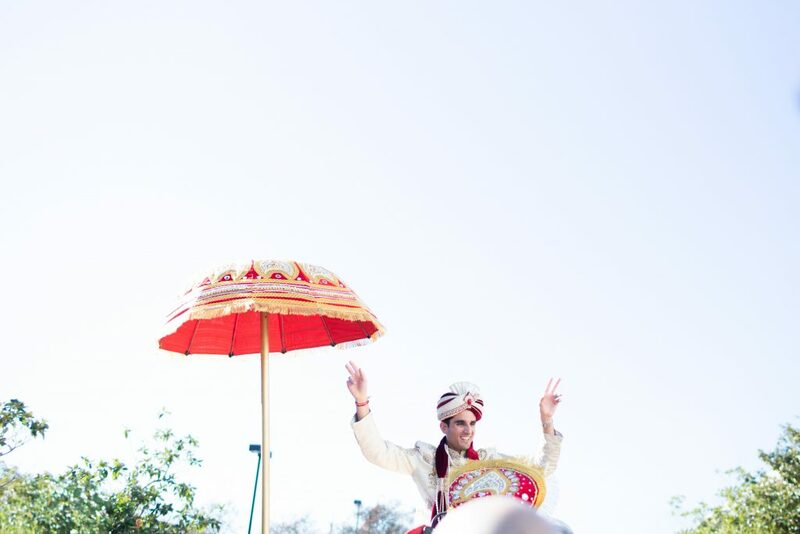 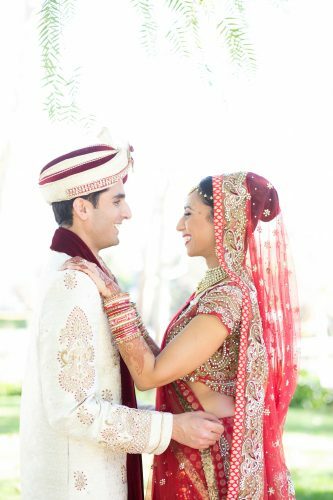 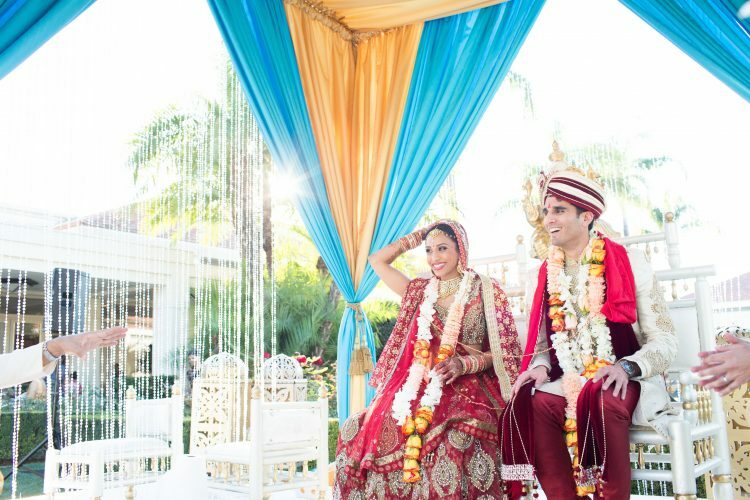 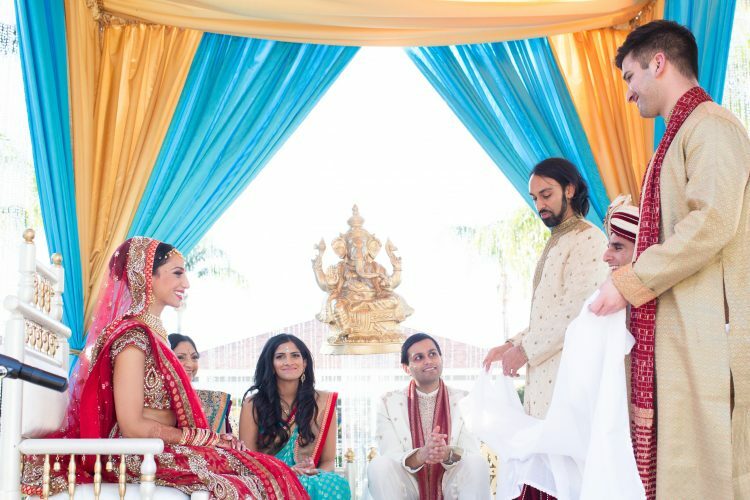 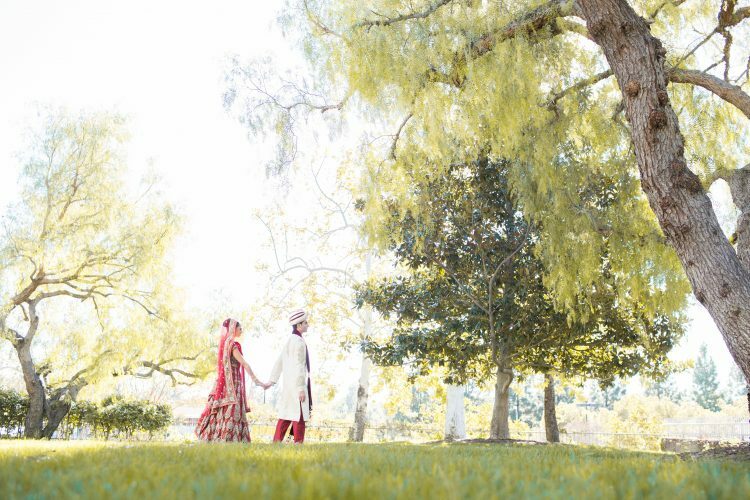 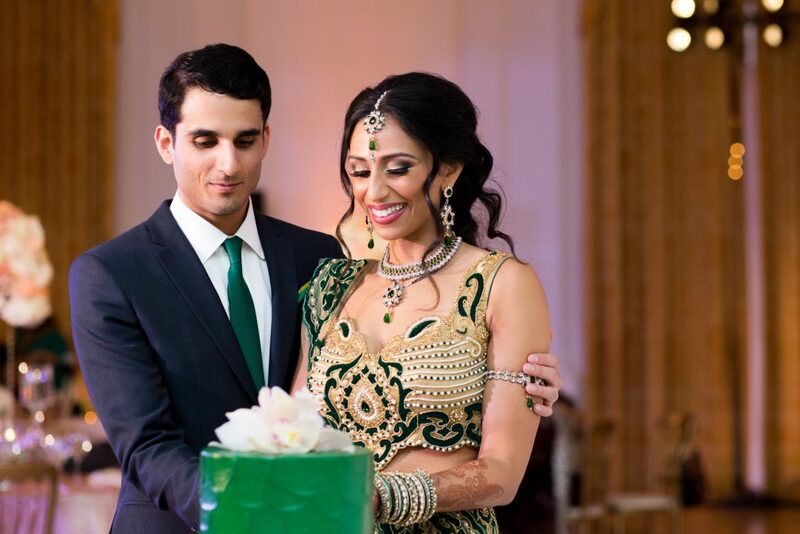 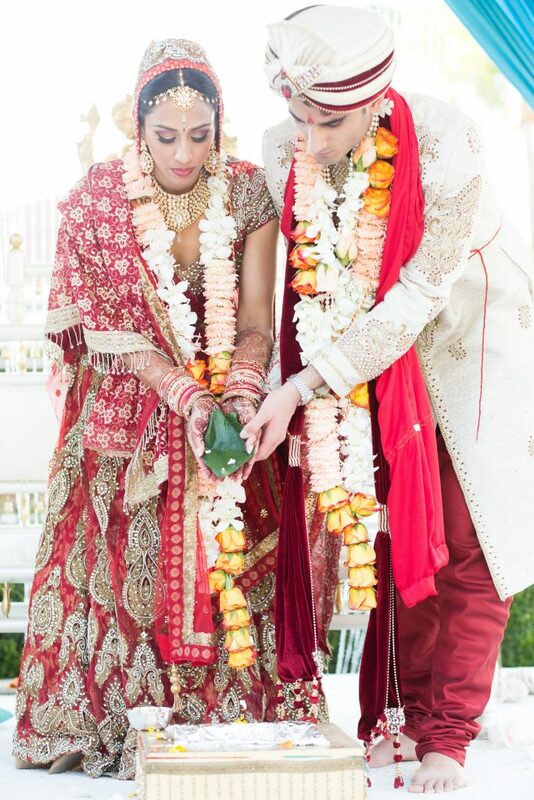 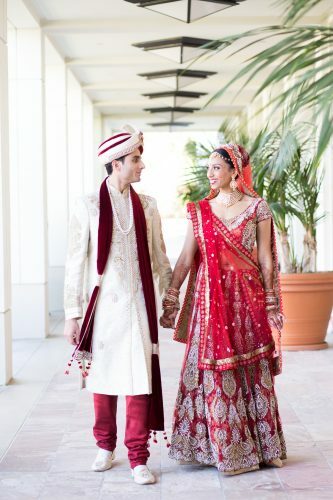 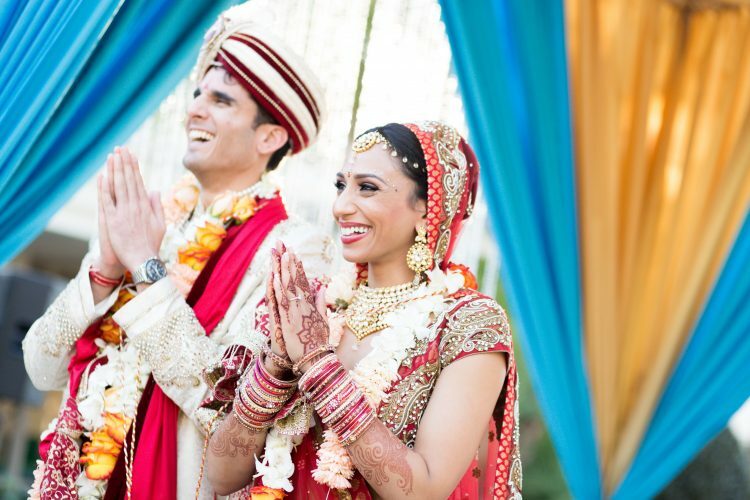 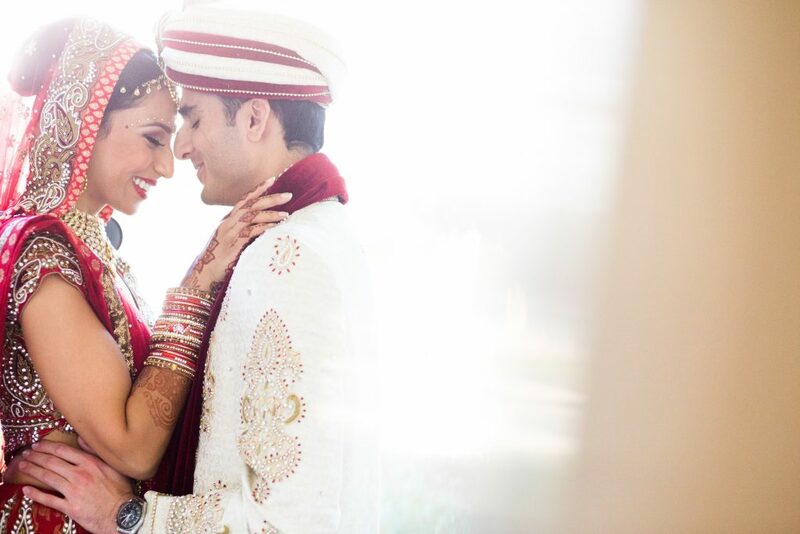 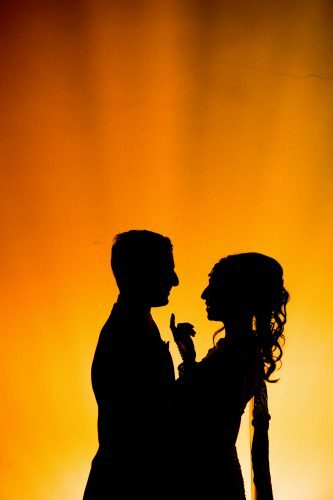 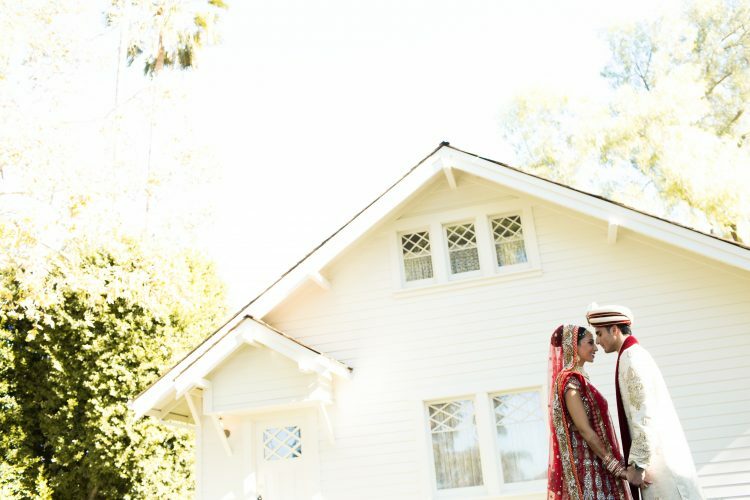 As an Indian Wedding Planner in Orange County, I don’t think there was a moment during the entire celebration that Ruchi and Varun were not smiling. 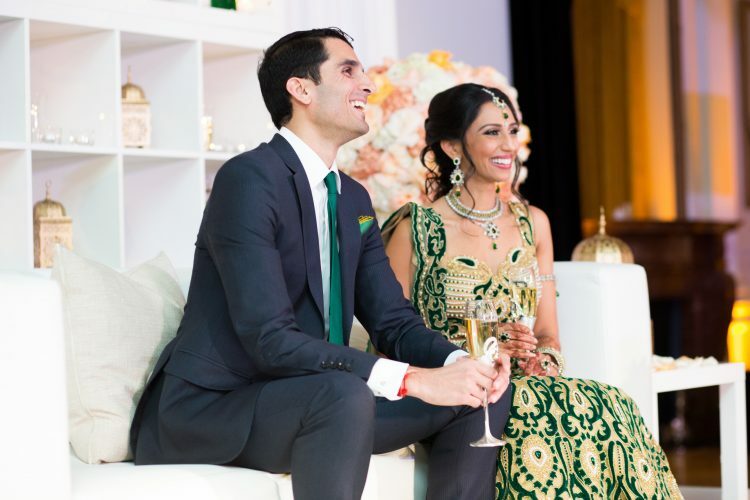 These two were so happy to get married, we all just loved being around them. 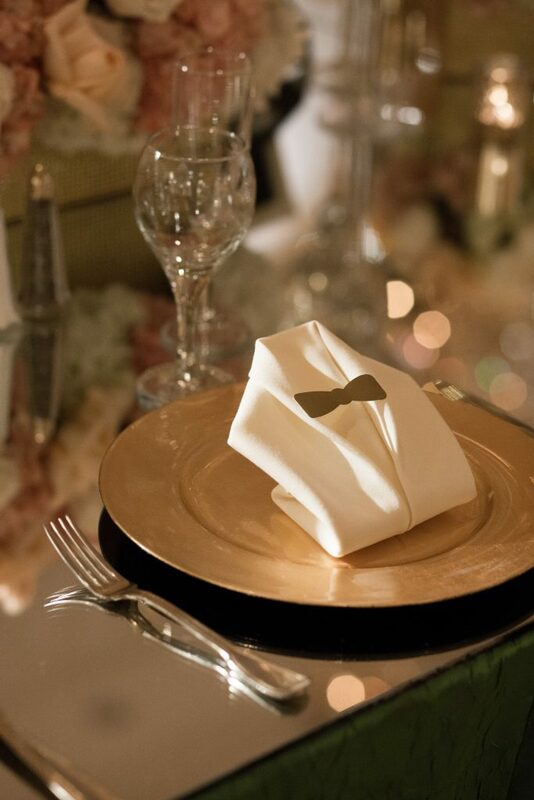 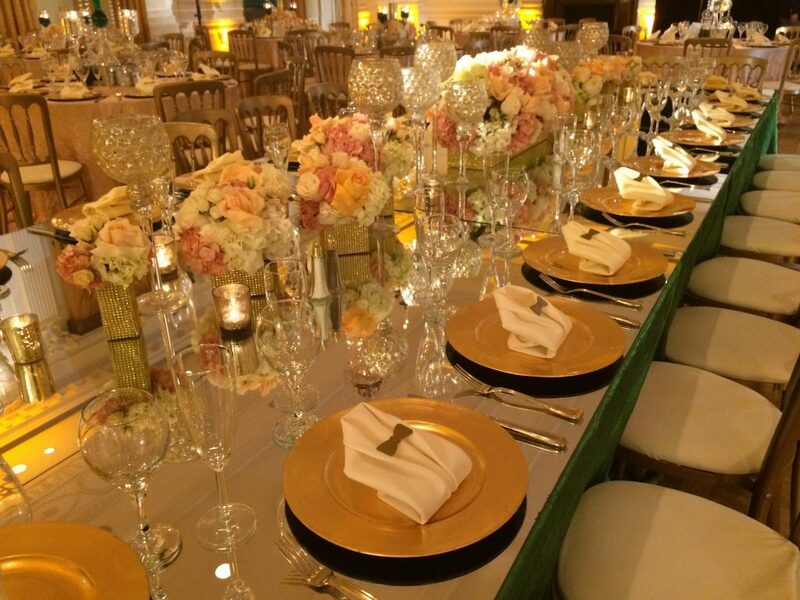 They chose the Richard Nixon Library for their wedding, which was perfect as we maximized the space with their large guest count. 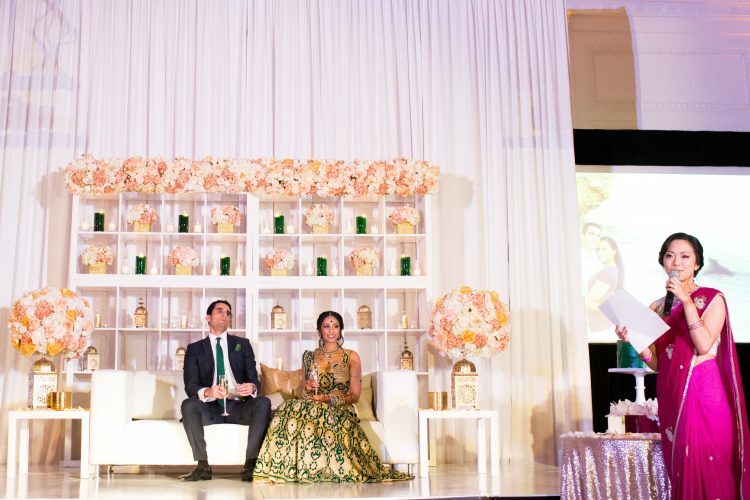 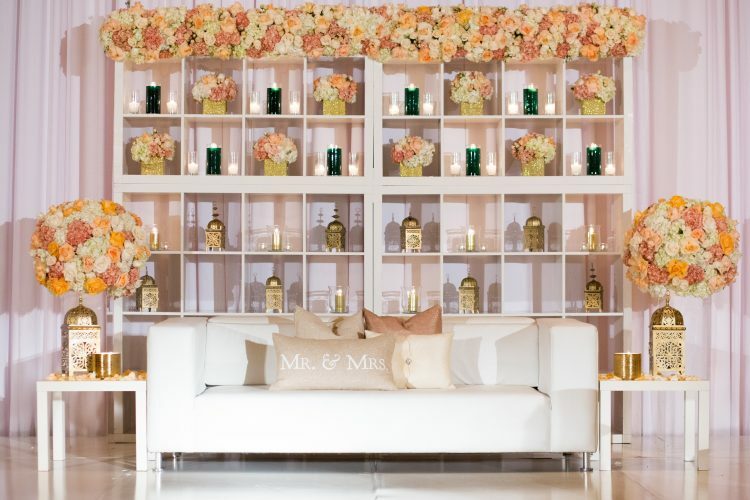 Saman from 2 Create Designs spent some time looking at how we could incorporate the natural setting of the venue so we did a couple enhancements. 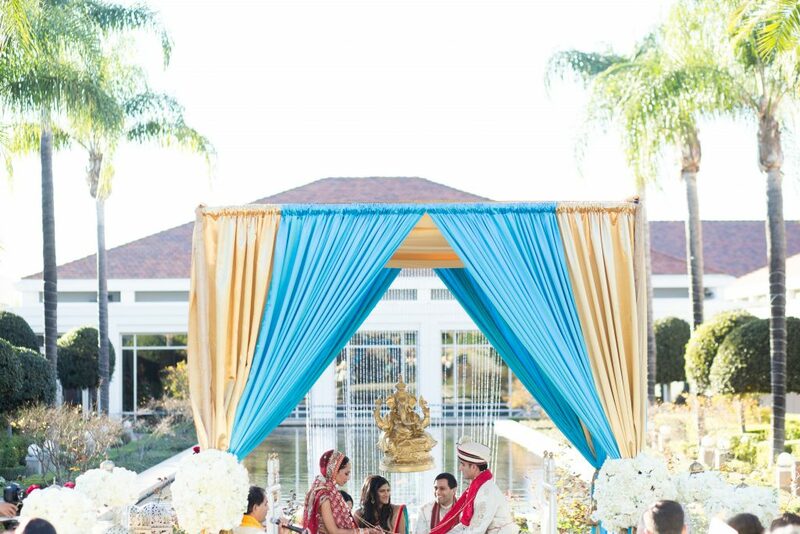 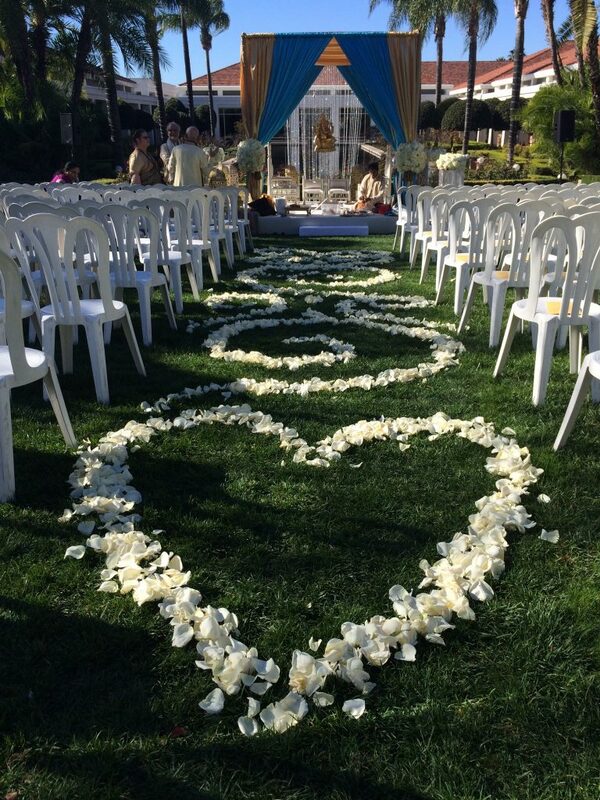 Instead of positioning the mandap in front of the little house President Nixon was born in, we situated it in front of the pool next to the Rose Garden. 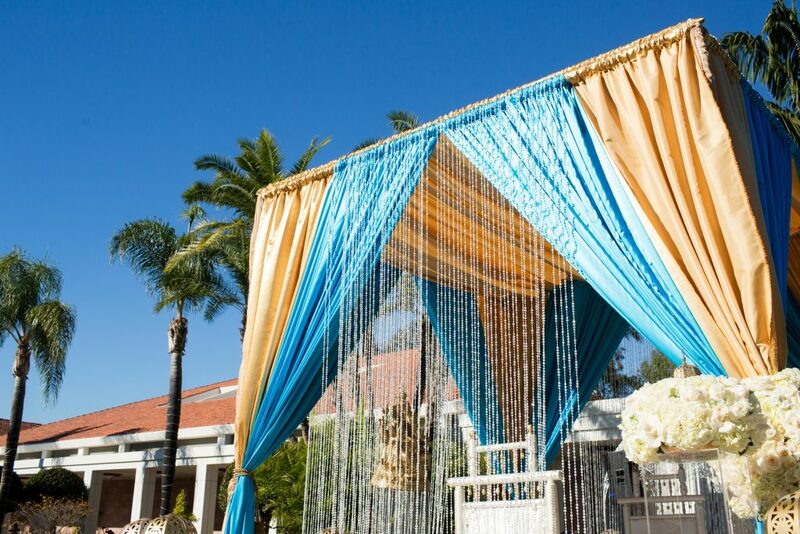 This was a smart decision as the mandap had a lot of turquise in it, which was set off by the pool. 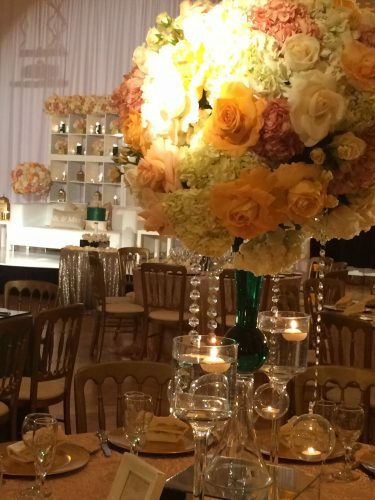 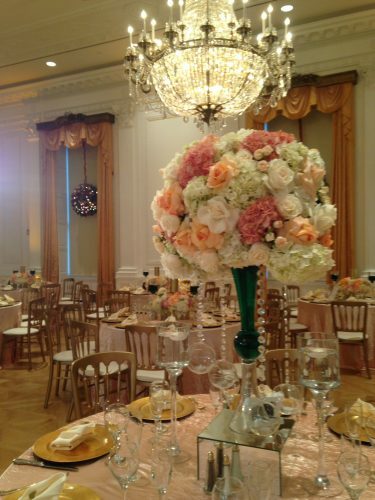 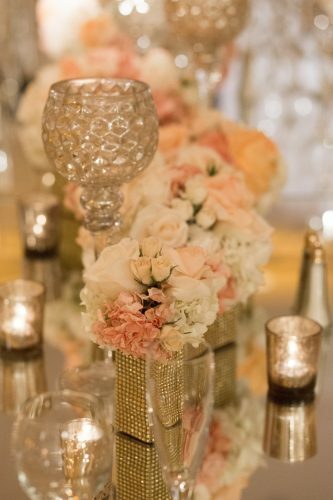 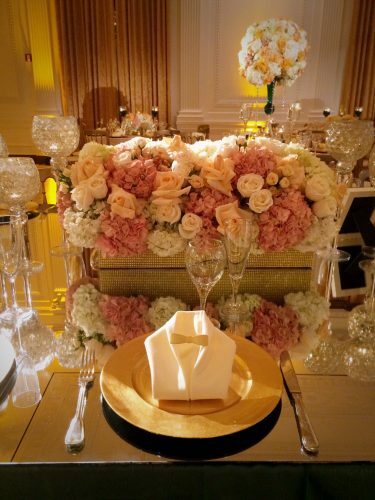 Inside the ballroom we used mirrored tabletops to reflect the stunning chandeliers suspended in the room.